Available in 50mm or 75mm diameter. Please select when adding to cart above. Available in 80, 100, 120, 150, 180, 240, 320, 400 & 600 grit. Please select when adding to cart above. I would place Astra Dot sandpapers in the same class as ceramic disks. Manufactured in Japan, they have been on the market for a number of years and I have searched many times to find out what the grit is made of, but without success. Astra Dot stands up just as well as ceramic disks, even in the most punishing conditions - with the sander running at 6000-8000 rpm and the lathe turning at over 500 rpm. It has a nice flexible backing and I have never had the Velcro fail after using it regularly for more than eight years. It is also very hard to clog – so much so that you can use it for sanding green wood. The main feature of Astra Dot sandpaper is the backing which is incorporated as one piece to form a pre-determined pattern structure. This prevents loading, reduces heat generation, requires lighter sanding pressure, and gives longer sanding life. The Velcro doesn’t de-bond, unlike other papers where the backing will separate from the stuck-on sandpaper with friction. 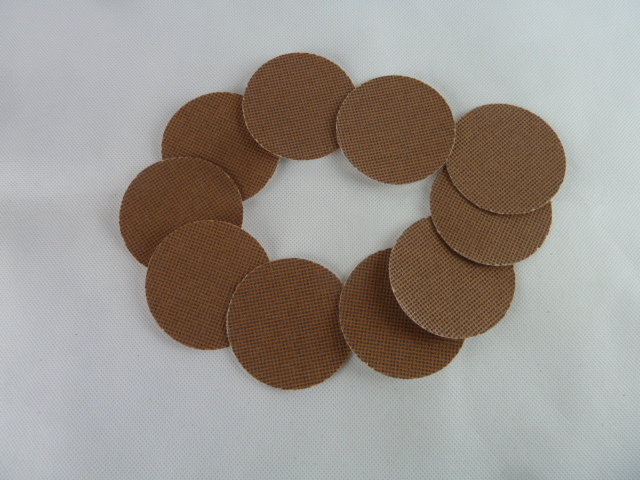 This makes it a sandpaper with a long life, outlasting at least 5 regular discs of the same grit in other brands. 1 pack of 10 discs, $1.40 anywhere in New Zealand. For larger orders and/or overseas delivery postage will be quoted prior to dispatch, after your shipping and contact details are supplied. Click the button below to add the Astra Dot Velcro Pre-Punched Sandpaper Discs [10 pack] to your wish list.